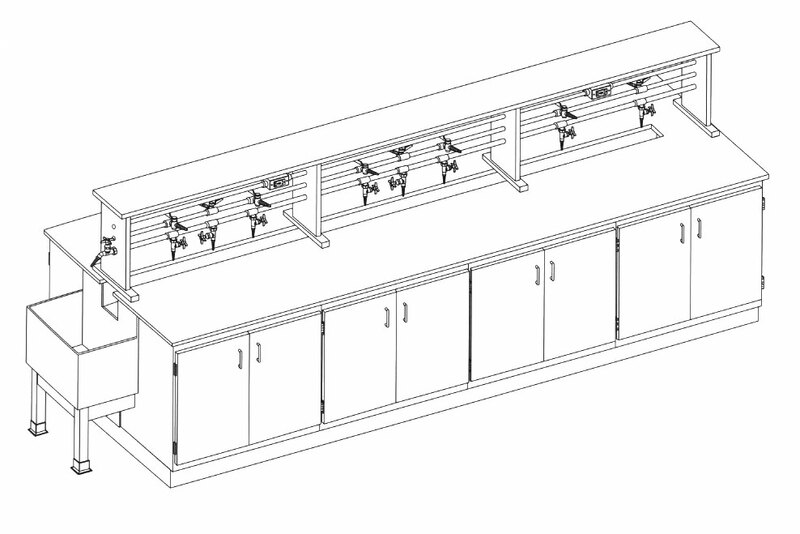 The Center Chemistry Table is designed for eight students, with individual storage facilities at each station. This unit has a reagent rack that runs the length of it, with a trough that drains at the end of the table. Students may plug into the gas and water outlets in the rack, and still have ample workspace.